Dr. Chang graduated from U.C. Davis with a degree in Biochemistry and Molecular Biology. She returned to the San Francisco Bay Area to attend dental school at U.C. San Francisco where she graduated at the top of her class. She continued her education at The Ohio State University earning a master’s degree in dentistry and certificate in orthodontics and dentofacial orthopedics. Dr. Chang has authored and co-authored papers in dental facial esthetics in the American Journal of Orthodontics and Dentofacial Orthopedics. Her specialties include relationships between smile/dental and facial aesthetics. 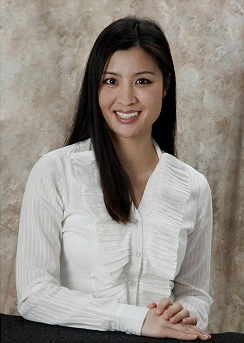 Dr. Chang is an active member of the Santa Clara Dental Society, California Dental Association, American Dental Association and American Association of Orthodontists. During her free time she enjoys working out, cooking, hiking, and spending time with her family and two cats.